Jennifer Pudney needlepoint is synonomous with contemporary, fun designs. They will light up your living room and are easy to stitch. The design measures 17" x 13". The design is color-printed onto 10 mesh interlock needlepoint canvas. This Jennifer Pudney needlepoint kit includes DMC yarns; a needle and how to needlepoint instructions. 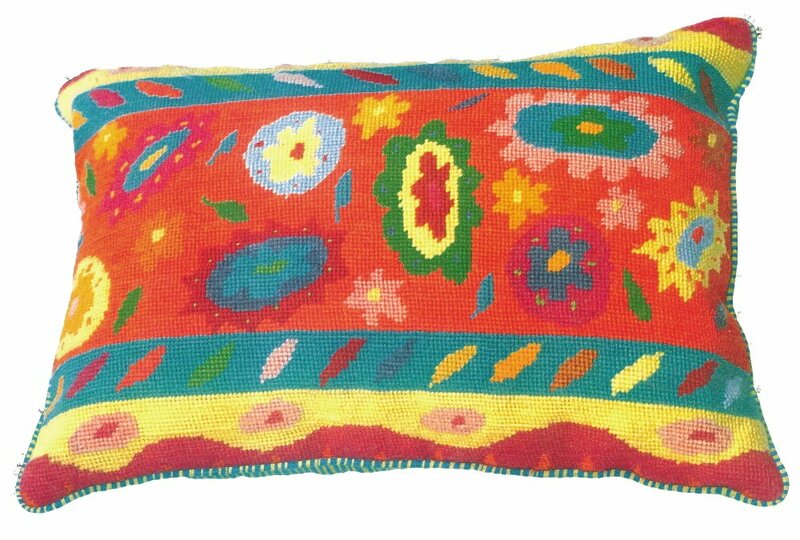 We offer an affordable needlepoint pillow finishing service if required. This needlepoint kit is in stock and ready to ship. Contact us with any questions. We are always glad to help you.